The 100 count Colored Pencils box is a big deal for Crayola. It is very exciting because it contains the largest selection of colored pencils Crayola has ever made! 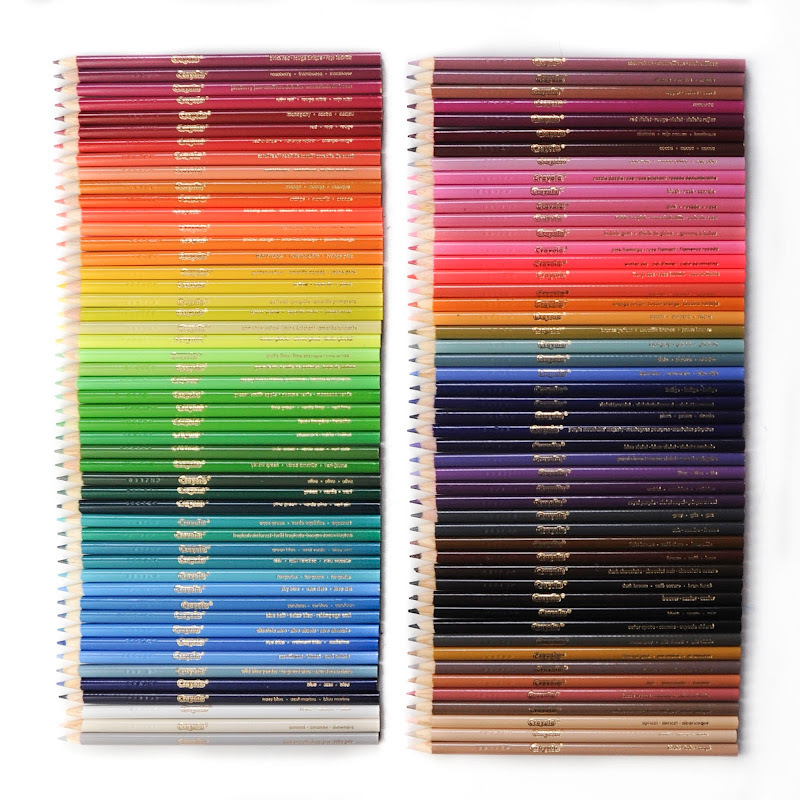 Up until now the most colored pencils that have been available were 64 small colored pencils and were not named. The biggest box with named long colored pencils was a 50 count box. The 100 count box along with Crayola Escapes 72 count colored pencils is ideal for people that want lots of colors from Crayola. The following colors were removed from the 100 count box: gold and silver. Why? I have no idea, those are fairly popular colors. Be very careful when picking the 100 count box in the store. The only box that really contains 100 different colored colored pencils, is the box that says "100 different colored pencils". 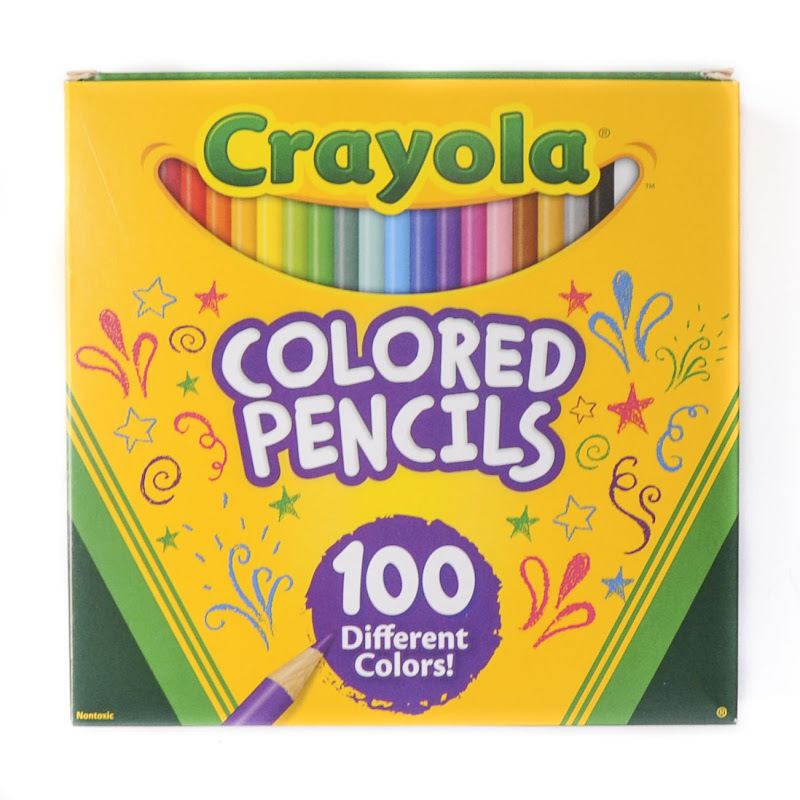 If it says "The Big 100", it only contains 60 different colored pencils. 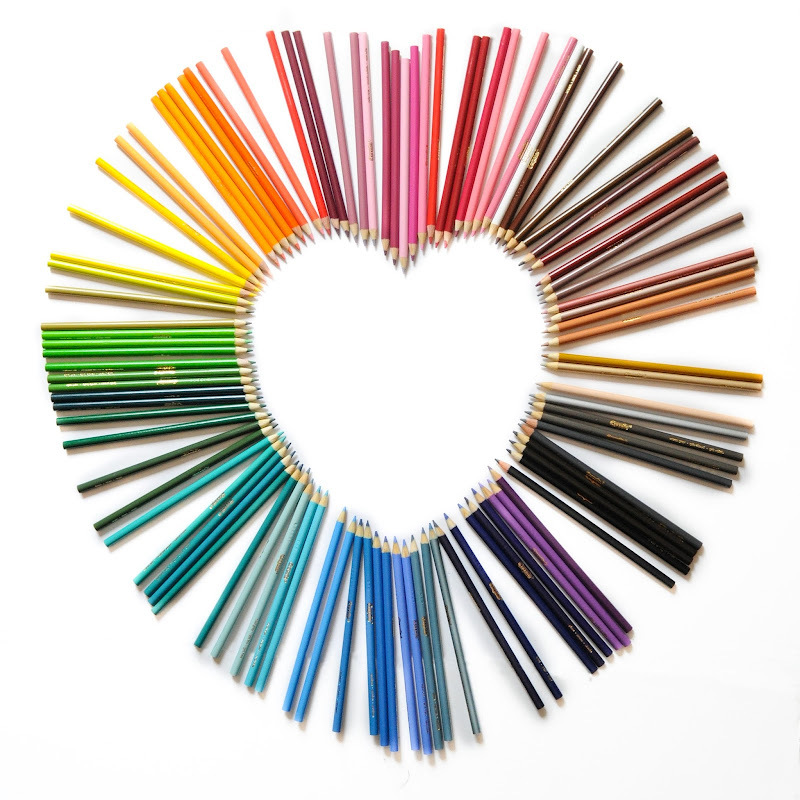 Crayola introduced 100 count Colored Pencils in 2015 containing 60 unique colors. The next year in 2016 Crayola came out with another box, with a slightly different design. It also contained 60 unique colors. The main difference in the boxes from 2015 to 2016 was that the back of the box had the number of colors listed on the back. For example, there were two reds and that was indicated on the back of the box. 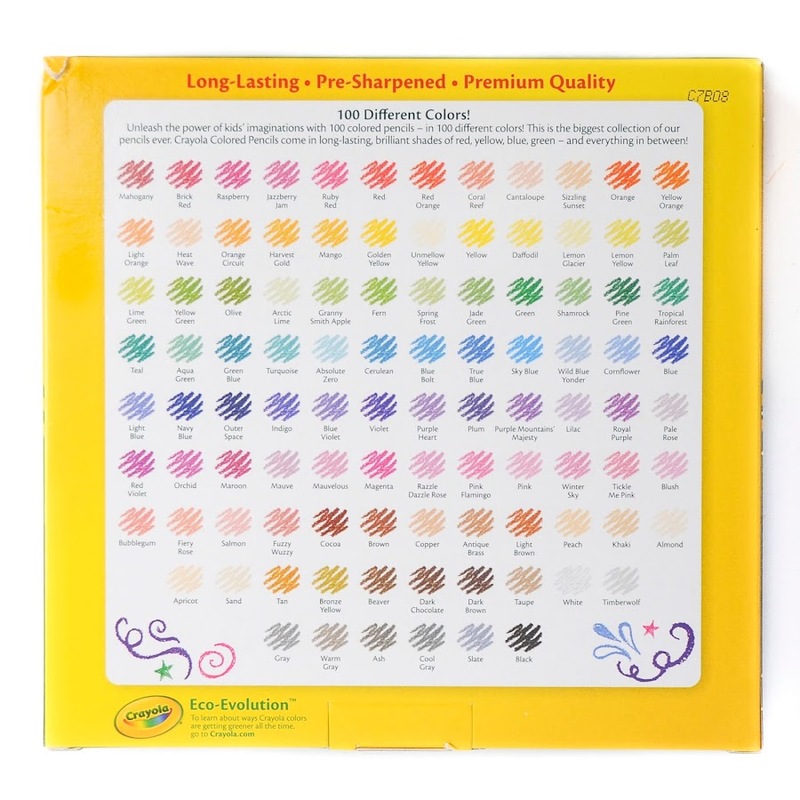 This was ideal to know how many of each color were in the box and are also more aware when they purchase the colored pencils there are not 100 unique pencils. This box design is very significant because it marks the first time in the US that new colored pencil colors were introduced to the standard box. Even the adult coloring pencils did not contain these colors. There was a box in the UK that contained these colors, but I can not find it sold in the US. Metallic Blue, Metallic Bronze, Metallic Copper all existed in the Metallic colors boxes. The Hazel was used instead Harvest Gold and Lilac, Olive Green, Plum, Ruby Red, Cocoa, True Blue, and Warm Gray were added to the Big 100 box. Both boxes contain the color the true blue, which is a throwback to the true blue crayon, a very collectible crayon. In 2017 Crayola came out with the 100 count different colors box that actually contain different colors. This is the biggest box EVER for colored pencils. There are a lot of new names in this box. All these boxes will be collectible since it is the first time Crayola has changed made such a big box for colored pencils and introduced new colored pencil names. Do you have pictures? I'd love to see it. Thank you. I bought one and update this post!